If you catch yourself sneezing constantly and your nose is always running, itchy or blocked, you may have allergic rhinitis. These symptoms range from mild to severe, and could also include itchy and watery eyes, itchiness of the throat and a “post-nasal drip” (sensation of mucus running down the back of the throat). Although rhinitis involves inflammation of the lining of the nose, it can sometimes cause the lining of the throat, sinuses, Eustachian tube and middle ear to also be affected. This malady can have many causes – viral (most commonly seen in “the common cold”), allergic, hormonal, gustatory, chemical-induced and medication-induced. When caused by allergic triggers, it is then termed allergic rhinitis. Allergic rhinitis occurs when your body overreacts to allergic substances (termed “allergens”) that your encounter in your everyday lives. These allergens may be from the environment (dust mites, animal dander or pollen) or in the food that you eat. Exposure to the proteins from these allergens causes the body to produce IgE (immunoglobulin E) which is a type of allergic antibody. This is an over-reaction by the body. IgE will lead to a release of chemicals from the cells in your own body. These chemicals – such as histamine, bradykinin, tryptase, kinins and heparin – cause a cascade of reactions within the body that cause mucus to be released from the glands of the nose and dilatation of the blood vessels in the nose. This leads to runny nose and sensation of blockage from all the inflammation. Sensory nerves are stimulated by these reactions and this causes the symptoms of itching and sneezing. This reaction is immediate but its effects can last for hours or days. Who Does Allergic Rhinitis Affect? Allergic rhinitis can affect persons of any age, but the onset is usually between ages eight and 11. It is a disease of teenagers and young adults; in the elderly, the rhinitis tends to be of the non- allergic kind. The malady has a definite genetic predisposition. You are more likely to have allergic rhinitis if you have a family history of atopy (allergic rhinitis, allergic asthma, allergic conjunctivitis and eczema). One in five people suffer from allergic rhinitis. If you suffer from symptoms of rhinitis, you know how it can affect your daily work or leisure activities. In addition to bouts of sneezing requiring multiple tissue papers, rhinitis causes poor performance at work or at school from disturbed sleep. However, you don’t have to suffer from the symptoms as treatments are available. Go see an ENT (Ear, Nost and Throat) surgeon, who’ll ask you detailed questions about your symptoms, your work and home environment, your occupation and your family history. A detailed history of your environment will give your doctor some clues about your exposure to common allergic triggers such as dust mites, moulds and pets. In Western countries, sufferers of allergic rhinitis tend to have seasonal symptoms, according to the different kinds of tree pollen in the air. In Malaysia, however, symptoms may be experienced all year round because common triggers like house dust mites, moulds and pets are in our environment all the time. Your doctor may also ask other questions to rule out rhinitis caused by non-allergic conditions such as thyroid problems or medication-induced rhinitis. A general ENT examination will be performed, looking particularly at the nasal cavities with nasal endoscopy. Although the diagnosis of allergic rhinitis is made from the history, it is important to have the nasal cavities examined to rule out other causes of a blocked nose. One of the important aspects of managing the symptoms of allergic rhinitis is to avoid the allergic triggers. If it is related to food, you can easily exclude it from your diet. If the trigger is within the environment, your doctor can advise on measures that can be taken to reduce the load of the allergens in the environment. Allergy testing is available in many centres and may help to identify the triggers for your symptoms. 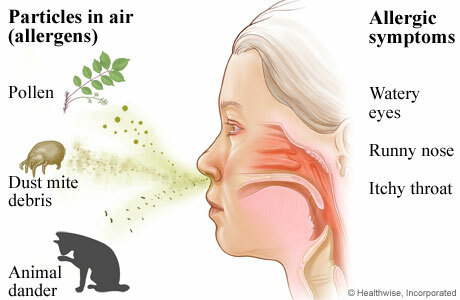 Allergic rhinitis is mainly treated with medicines. The main treatments are nasal sprays and antihistamines. The nasal sprays contain corticosteroids and act to reduce the inflammation in the nose. Unlike the steroid tablets used for other medical conditions, the nasal sprays contain only small amounts of corticosteroids (in microgrammes) and this is not significantly absorbed in the bloodstream. 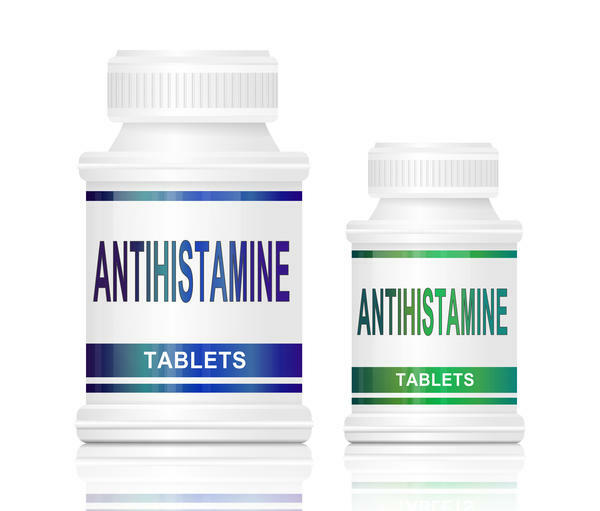 Antihistamines stop the allergic cascade from occurring inside the body; essentially, they stop the harmful chemicals from being released from your own cells. These medicines should be used under the supervision of a doctor. As the severity of symptoms may vary from person to person, the frequency and the duration you use the medications will depend on your doctor. Occasionally, surgery can help with the symptoms of allergic rhinitis. Other medications that may be used are decongestants (for short courses only) and nasal irrigation solutions. This really depends on your symptoms. Many patients will need it long-term to control their symptoms. The mistake most patients make is to stop the medications as soon as their symptoms are controlled, which usually happens after two weeks of using the medications regularly. The symptoms are very likely to come back because the allergic triggers will still be present. Immunotherapy is the newest treatment available for allergies. This treatment exposes your immune system to small doses of an allergen. Over time, the immune system will develop a response which will cause you to tolerate the allergen, instead of over-reacting to it. Immunotherapy treatments need to be given regularly and only certain patients (patients who are sensitive to one or two allergens only) are suitable for it. Your suitability will be determined during your consultation with the doctor. Allergic rhinitis is associated with other conditions such as sinusitis, otitis media, Eustachian tube dysfunction and allergic conjunctivitis. 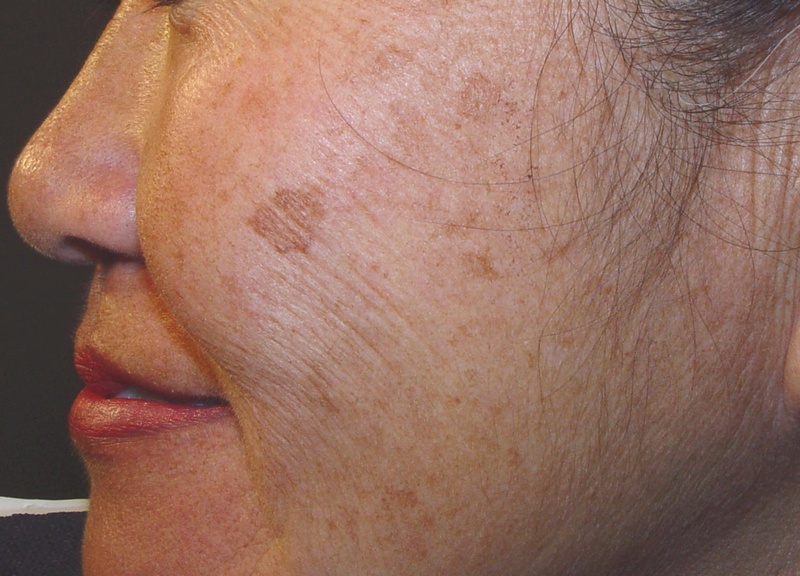 It is also related to diseases such as asthma, nasal polyps and atopic eczema. Of all patients with allergic rhinitis, 20% will have asthma. There is now enough evidence to show that uncontrolled rhinitis can worsen asthma and atopic eczema. This is particularly important in the management of children with asthma. “Doctor, I think I have sinus!” is a common remark heard in the clinics of ear, nose and throat surgeons (also known as otorhinolaryngologists). Take note that sinuses are air-filled cavities which are present within the bony skull of the face and within the head. 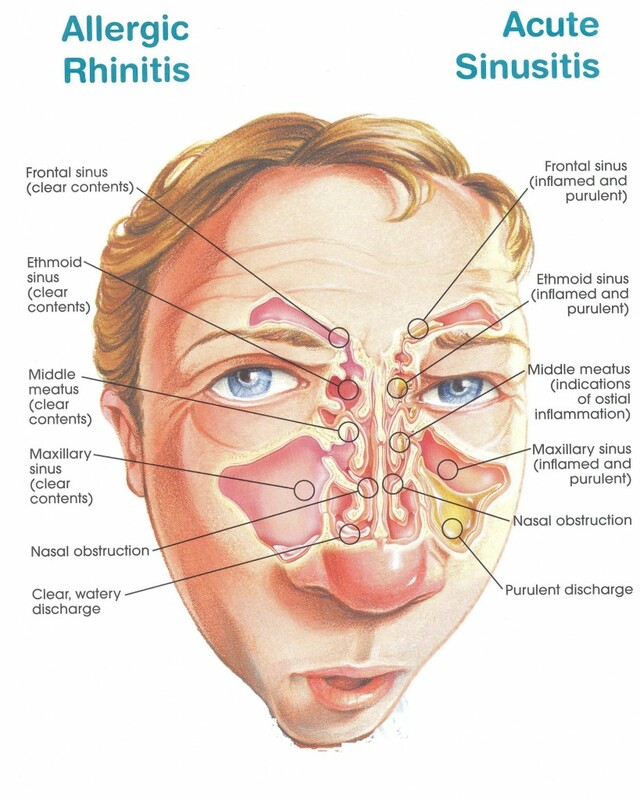 Sinusitis occurs when there is inflammation of the lining of the sinuses. Although rhinitis and sinusitis can occur together, the symptoms of sinusitis are facial pain (pain in the cheeks, forehead and around or between the eyes), headache, mucus dripping down the throat, tiredness and bad breath. Rhinitis is more common than sinusitis. Treatments for sinusitis may vary slightly from treatments for rhinitis; it is best to have a proper diagnosis of your condition. 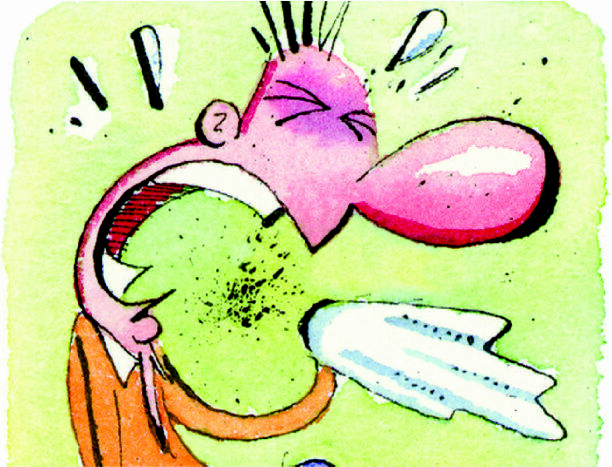 Apart from the nose, allergy can affect other systems and cause tummy ache, vomiting, diarrhoea or breathing problems. Severe allergic reactions such as angioedema and anaphylaxis can be life-threatening. A detailed consultation with a specialist is the first step in managing your allergies. Allergic rhinitis is worth treating because whether you have mild and intermittent symptoms or debilitating symptoms, treating the rhinitis will definitely improve the quality of your daily life. Do you exhibit any symptoms of allergic rhinitis? Share with us in the comments below or on our Facebook page!